It always surprises me when I am talking to a client and they aren’t utilizing the Paperless Office integration with MAPADOC. Paperless Office allows users to quickly and easily find files, view reports and registers, and print only the pages you want. In addition, when you need those files again, Paperless Office lets you retrieve them from the archives using intuitive search and sort tools, which reduces the time you and your employees spend searching through old files and report folders. Learn how you can set up the Paperless Office integration with MAPADOC with today’s post. 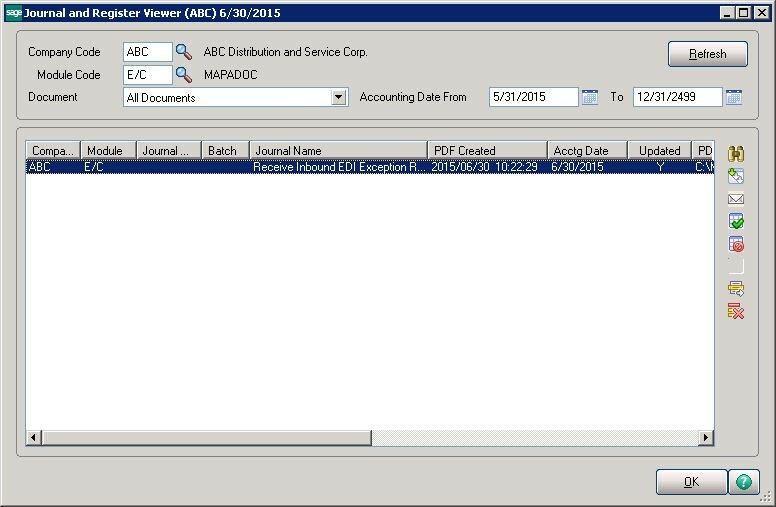 All MAPADOC Exception Reports and Registers are set up as Journals and Registers in Paperless Office. Enter the appropriate company code, or you can choose to set it up for all companies. The MAPADOC module code is “E/C”. For Documents, you can either select the individual exception report or register, or you can select all documents. 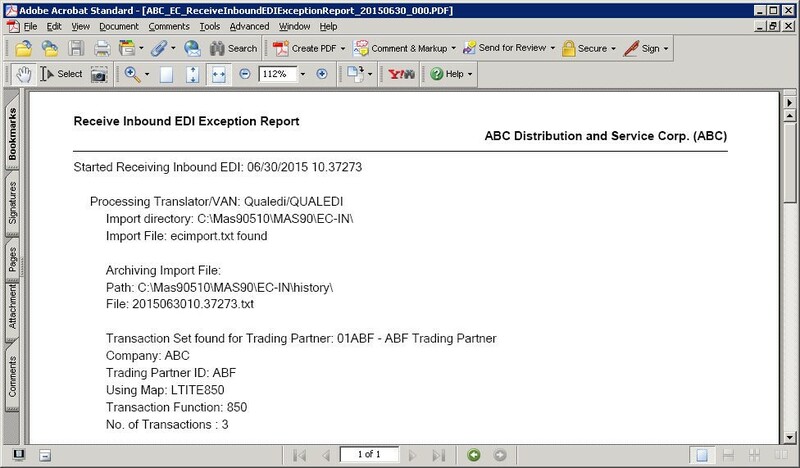 In any MAPADOC Exception Report or Register, when you hit “Print,” it will automatically create a PDF file for the report in the directory you have specified. The file name will be prefixed with the company code, and will contain the name of the report, the date printed, and a sequence counter that tracks if the same report was printed multiple times on the same date. It will also display a preview window so that you can view the report. 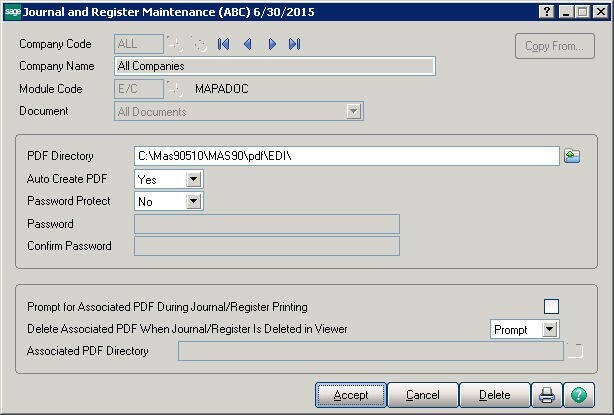 All exception reports and registers can be viewed at any time from the Journal and Register Viewer located on the Paperless Office main menu. The viewer screen allows users to easily search for existing PDFs, view them, delete them, or move them to a different directory. Now that you know how to set up your MAPADOC and Paperless Office integration, you should follow the steps to try it yourself. Need help? The MAPADOC team is always happy to offer the support you need. Get fast help. Contact a MAPADOC expert today!